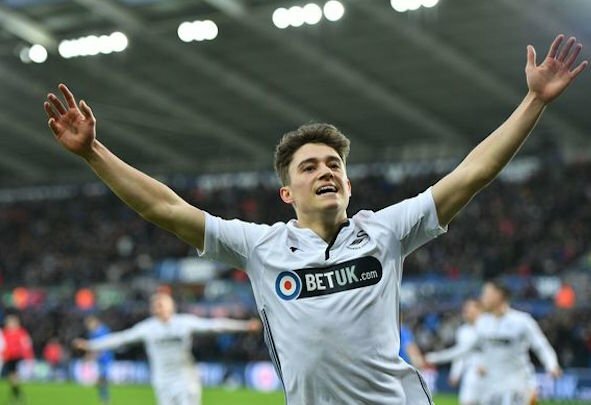 Daniel James is going to be the headline act on Wednesday night when Leeds United take on Swansea at Elland Road. The 21-year-old almost joined the Yorkshire giants on deadline day in January before the Welsh club decided to pull the plug on the deal, and now there is an air of inevitability among many Leeds fans ahead of this meeting. There are a number of supporters all backing James to find the net against them on Wednesday, it just seems written in the stars to happen. The Wales international has hardly been prolific in front of goal this term, scoring just two goals in 22 appearances across all competitions for Swansea, so in any other game, it would be a bit of a surprise for him to find the net. However there would be no such shock among the Elland Road faithful if he does that on Wednesday. You can understand why the fans would be worried. Football has a habit of throwing up these kind of things. Yep. With an assist from Matt Grimes. Just so we're clear, it is almost a nailed on certainty that Daniel James is gonna score on Wednesday.